The rubber weather stripping on vehicles does several important jobs in order to keep a vehicle safe and secure. Protecting this rubber weather stripping is important to ensure a longer use without the expense and bother of replacing it. Taking care of this weatherstripping properly will pay for itself in the long run. 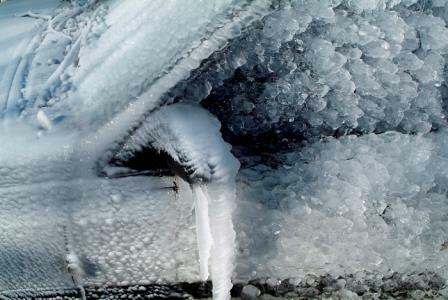 Weather stripping on vehicles is made of rubber and lines the doors and windows. It ensures the doors seal properly when closed. This seal will fend off the elements, and prevent water from leaking inside the vehicle. It is further used on windows to seal and protect the windows. Because it is on the outside of the vehicle it is subject to the harsh weather conditions such as rain, snow, ice, UV rays and dirt which damage the rubber. All of these can wear down the weather stripping over time. So what happens when weatherstripping gets worn down? When the weather stripping fails on any part of a vehicle it creates problems. Doors with failed weather stripping are not tight when closed. When this happens, water may seep in and create problems such as mold and rust. In the winter these doors may not open properly because the metal door will stick to the metal door frame if the weather stripping is gone. Windows need weather stripping even more than doors. The windshield goes through all types of weather and failing to weather strip a windshield and other car windows will allow rain as well as noise and dirt to enter the vehicle. While noise can be both annoying and distracting, letting water into the vehicle can cause even more problems down the road. Dirt buildup inside a car can shorten the life of the upholstery and carpets. What can you do to keep your weather stripping like new? There are various products on the market which will help care for this rubber weather stripping. These products will keep the weather stripping pliable and protect it from the elements for longer wear and protection for a vehicle’s doors and windows. They are made to clean and leave a protective layer on weather stripping. One of the best products that is recommended is 303® Rubber Seal Protectant. To use 303 Rubber Seal Protectant, apply it to the weather stripping in your car using the attached foam applicator. Allow the product to sit until fully dry, and repeat if necessary. It will leave a matte finish which is neither oily nor greasy and it will coat the weather stripping for months of protection. Protecting a vehicle from wear and tear is good sense. Weather stripping is often forgotten yet serves a very important purpose in protecting a vehicle. Cleaning and protecting all the rubber weather stripping on a car is an investment in the long life and safety of any vehicle. I don’t see the 303 Rubber Seal Protectant you mention here on the site for sale. Is this no longer available, or is there a replacement product? Hi, David. As of right now the 303 Rubber Seal Protectant is currently unavailable. However, we recommend to check out the 303 Automotive Protectant, you can use this on the rubber parts of your vehicle! If you have any other questions please contact consumer support at producttechsupport@goldeagle.com.